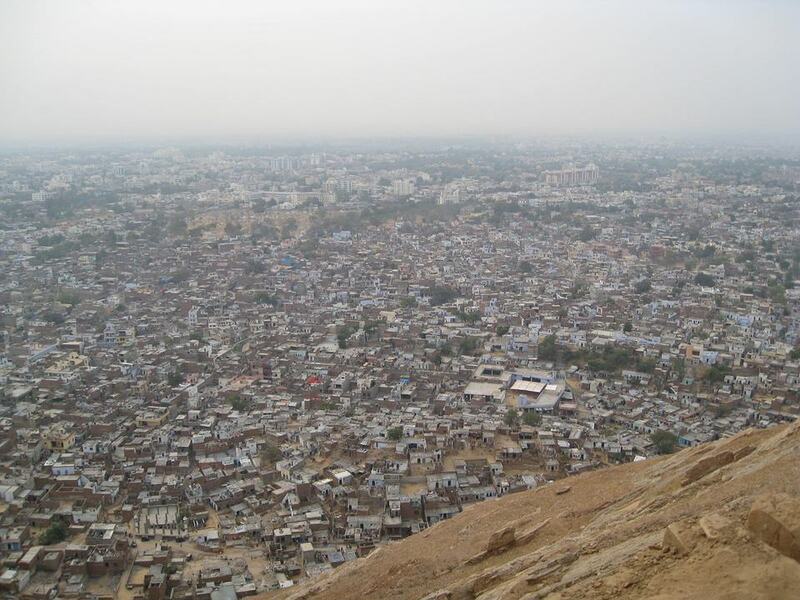 Jaipur is the largest city of Rajasthan (second largest city is Jodhpur). It is the dream place for holidays. When I surfed internet for this city, there were long and not-to-the-point guides. They had plenty of info. But, you had to spend hours to find diamonds in the mud. So, I decided to make it easy for everyone. I spend hours to find out golden information. If you are planning a tour here, I believe this guide will be helpful for you. Enjoy!! It is the capital of the Rajasthan, India. It is also known as the Pink City of India. It is a popular travel destination. As a result, tourism generates high revenue for the economy. Delhi, Agra & Jaipur forms a part of the Golden Triangle tourist circuit in India. Recently on 3 June 2015, Metro began commercial service between Chandpole and Mansarovar. Here is the Jaipur Metro map and list of the stations. 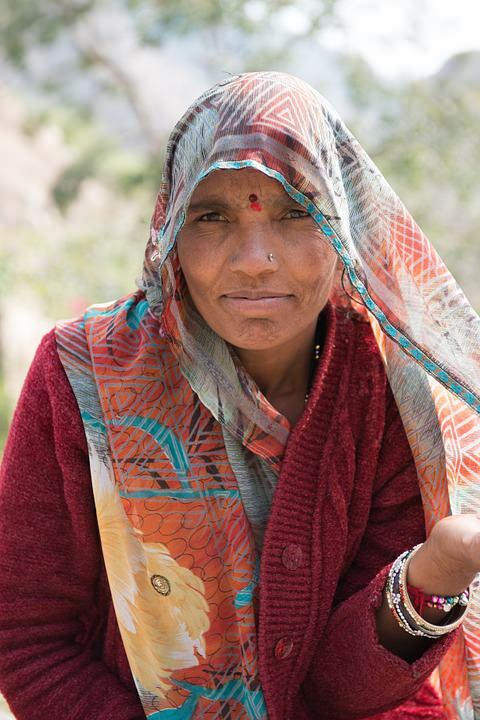 For most part of the Jaipur History, it was under Rajput rulers. Maharaja Sawai Jai Singh II, the ruler of Amer, founded it on 18 November 1727. Jai in Jaipur has its name from the king. He was a Kachwaha Rajput. Before it, he was living in Dausa. So, he had to leave Dausa and move on. It is the first planned city of India. The King took great interest in designing this city of victory. So before creating the city, he consulted several books on architecture. The king also contacted architects while planning the layout of this city. Vidyadhar Bhattacharya guided the planning of the city. He used the principles of Vastu Shastra and Shilpa Shastra in the design. After 4 years, major palaces, roads and boundaries were complete. The city was divided into nine blocks. Two blocks had the state buildings and palaces. The remaining seven blocks were allotted to the public. 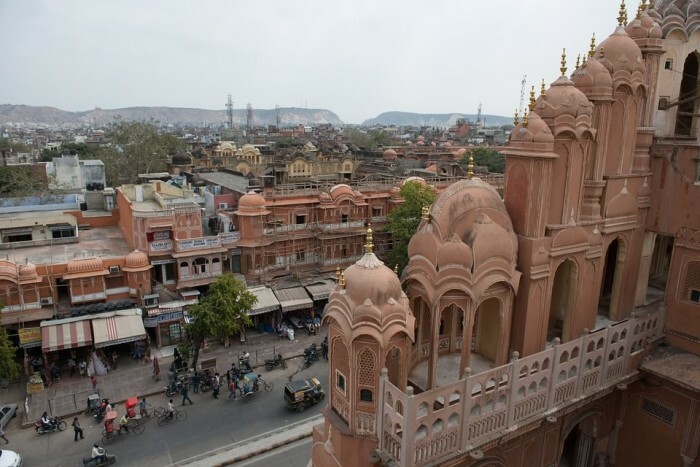 During the rule of Sawai Ram Singh the city was painted pink. It was done to welcome Prince Edward VII and Queen Victoria. This gave this city a unique appearance and the name Pink City. Climate of Jaipur is semiarid. It is generally sunny and dry in summer. It receives over 650 millimeters (26 inch) of rainfall annually. Rain occurs between June and September. Average Jaipur temperature in summer is 30 °C and in winter is 15-18 °C. To find today’s Jaipur weather and forecast reports, head on to Accuweather. October to March is the best time to visit this city. The traditions, customs, lifestyle, art and architecture displays the culture of Jaipur. The people of this place warm and friendly. People love to dance to the tunes of Rajasthani folk songs. Famous dance include Ghoomar, Chari. Traditional instruments like Sarangi, Ektara, and Jhalar are also used in folk songs. It has various variety of handicraft items in the market. It is also known for blue pottery, miniature paintings and traditional clothes. 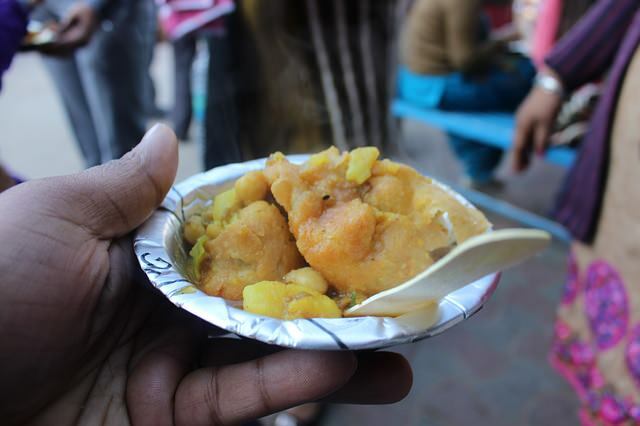 Jaipur cuisines of India are full of nutrition. Because these are made in ghee and butter. The food is vegetarian. Since you are visiting it and will likely to stay for at least 2 days. You do not want to miss the opportunity to taste these mouth-watering dishes. Go to these places and enjoy original taste of these dishes. It is a major city of the country. So, it is well connected to almost every corner of India. The major means of transport includes Air, Rail and Road. Millions of people uses them to reach here for thier purposes. Domestic terminal of the Airport is 7 km from the main city. While International terminal is 10 km from the main city. You can reach it by taxi or bus. Jaipur Airport connects the city to all the major parts of India and major oversea countries. Once you get down at the airport, hire a taxi or take a bus to reach the main city. The city is well connected to almost every part of India through the means of Indian Railways. After getting down at the Railway Station, you can take an auto-rickshaw, bus or hire a taxi. These are easy ways to reach your hotel in the city. The special, luxurious and renowned train Palace on Wheels also visits the city. The city is connected with all the major cities of India via National and State highways. Rajasthan State Road Transport Corporation (RSRTC) also has bus service between Jaipur and Dehli. There are buses at about every half an hour to and from it. There are non-AC and AC Volvo buses available. Wonderful palaces, superb forts and gardens makes it a live beautiful city. It shows the long vision of its legends Rajput Emperors. It was built by built by Maharaja Sawai Jai Singh II. Johri Bazaar is the oldest and the largest shopping mall in the city. This makes it the busiest market among all the bazaars of this city. Bapu Bazaar is among the largest camel leather market in the world. other leather goods like belts, wallets, lamp sheds, bags etc. Get Around & Explore the City! This section contains list of some businesses that will help you in your tour. Cabs and Taxi in Jaipur: OLA and Metro Cabs are popular services. Car Rental Jaipur: Car Zone Rent is a popular service. The colourful Pink City becomes even more lively and lovely during festive season. As a popular travel destination, this city draws tourists from all around the world. So, there are many top brand hotels here competing with each other in Hotel industry. This Booking.com page has 450 best hotels to choose from with best deals. Train: These are the trains available today. Flight: Flights are available from IndiGo, Jet Airways, SpiceJet and Air India. Bus: These are the buses available today. Train: These are the trains available today (intercity included). Flight: Flights available from SpiceJet, Jet Airways and Air India. Flight: Flights available from IndiGo, GoAir, Jet Airways, Air India and SpiceJet. Flight: Flights available from Jet Airways and Air India. Flight: Flights available from Air India. Flight: Flights available from AirAsia, IndiGo and Air Costa. Flight: Flights available from Jet Airways, GoAir and Air India. Congratulations! You have read more than 2000 words of info about Jaipur. This guide is a work in progress, so forgive me, if something is missing. Bookmark this page and saving it for your future reference. Contact me if you have some questions and suggestions. Sharing your ideas in comments will not take more than 5 minutes. These are easy tasks, you can do all these. If you want to have a tour in this city. Then make a plan, download these tourist travel apps and visit it. You must spend some days of your life here. I believe this guide will give you everything you need. Hey, I would like to appreciate ur effort to give such elaborate and useful information about the cities of Rajasthan . hey , thanks of giveing us beautyful information about the cities jaipur it is so nice .